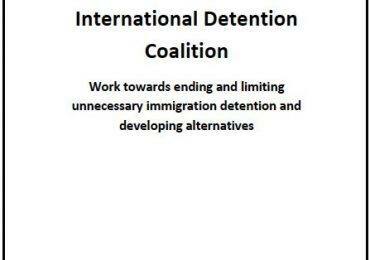 The IDC’s Director and Asia Pacific Regional Coordinator were in Japan from 26th to 28th October, participating in meetings with the Japanese Ministry of Justice, members of the Diet of Japan, NGOs, lawyers and academics to promote an expansion of alternatives to immigration detention in Japan. The meetings included a closed-door roundtable with officials from the Ministry of Justice, co-hosted by IDC member Forum for Refuges Japan (FRJ), as well as the Japan Federation of Bar Associations (JFBA), and UNHCR Japan. Discussions at the roundtable centered on the latest global developments on alternatives, as well as the possibility of expanding the pilot “ATD program” initiated by the MOJ, FRJ and JFBA from 2012 to 2014. 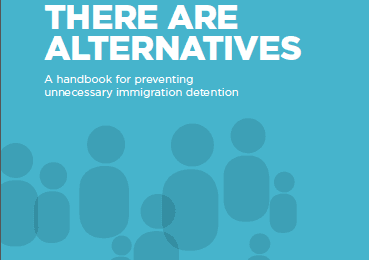 Also attending the meetings were the Asia Pacific Refugee Rights Network, as well as representatives from the United States Immigration and Customs Enforcement who shared good practices from from their family case management program, risk classification tool and other alternative to detention programs.